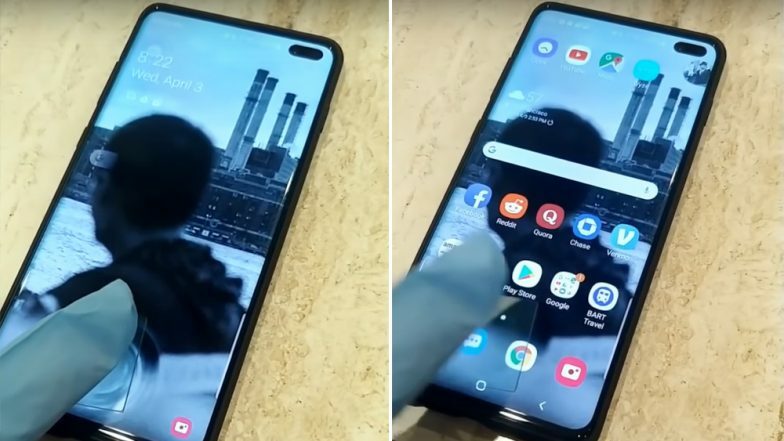 Seoul, April 8: It is apparently easy to fool the ultrasonic fingerprint scanner in Samsung's latest Galaxy S10 as a user posted on Imgur that he able to unlock the smartphone with a 3D print of his fingerprint. Notably, the new Galaxy S10's fingerprint scanner uses an ultrasonic sensor and doesn't rely on a capacitive fingerprint scanner that's been used in other versions of the phone. The ultrasonic fingerprint sensor is supposed to be more difficult to spoof. Samsung Galaxy A20 With Super AMOLED Display Now Available For Sale in India; Price, Specifications, Features.